In my own consulting and mentoring work I often have to apply game based thinking to scenarios where I know that irrational behavior is likely to influence certain scenarios. Bodystorming is technique of physically experiencing a situation to derive new ideas. It requires setting up an experience – complete with necessary artifacts and people – and physically “testing” it. Bodystorming can also include physically changing your space during ideation. I have found this approach works best in a group and optimally in a group familiar with the concept of collaborative intelligence. What you’re focused on here is the way you interact with your environment and the choices you make while in it. Think of bodystorming as a physical form brainstorming. Instead of just describing ideas and talking about them, they are acted out in a physical manner. Depending on the group you’re with, it can be a lot of fun to do, and the different mindset can help in discovering insights you wouldn’t easily find in another way. When done effectively Bodystorming can smooth out the rough edges of a a scenario. It simulates the touch points (contact between payers in a game) and interactions in actually performing the strategic processes. It animates scenarios so that teams can uncover potential problems and reveal hidden assumptions embedded in the a planned strategy. There are at least four bodystorming techniques documented for different purposes and different stages of strategy development and engagement within the approach. A bodystorm session might be structured in the following way. We begin with a “design problem”. A challenge, obstacle or other problems for which a solution is required. Participants break into small groups to improvise solutions. Post-it notes and pieces of paper serve as stand-ins for any impromptu roles (“angry customer”, “friend under duress”, “a sick patient” etc.) as well as actual solutions. Participants then re-enact their improvised solutions for the other teams, using the post-it notes and paper props. Lewis Harrison is a writer, content-rich, motivational speaker, and an entrepreneur specializing in game based thinking, applied game theory and Game Thinking. Known as the RealUGuru. He is the author of over twenty-two books published in five languages. Including the business books. Don’t forget to tune into my Radio show today at WIOX 91.3 FM or on your smart device at WIOXRadio.org. In addition Lewis is a seminar leader, futurist, NPR affiliated radio talk show (WIOXRadio.org) host, success and life coach and a best-selling author. He is the creator of a web site – http://www.RealUGuru.com that focuses on the application of gamification, decision science, positive psychology, happiness, and visionary thinking to solve basic, complex and extreme problems. He is the creator of a free course on business success and human potential. His company www.eventschairmassage.com offers Corporate chair massage to meeting planners, event planners, association meetings and trade shows. He also offers these stress management and onsite massage services in NYC, Los Angeles, Las Vegas, Chicago, Dallas, Greensboro, Columbus Ohio and many other cities across the United States through www.NoStressSpeaker.com. 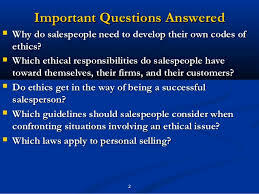 When I speak to entrepreneurs as well as sales trainers and sales professionals I am often surprised that many of them do not know the distinction between “ethical behavior” and “moral behavior”. Let’s explore this distinction not just in business but also in life in general. In a dominant group with a rigid world view rules of ethical thought and behavior may be strictly defined in ways that are clearly dysfunctional and oppressive.. However in an increasingly multicultural world it is harder for any group to remain isolated and dominant. In our modern (post – modern) world ethics can seldom be defined in absolute terms. In my view ethics is a personally defined system concerning right or wrong behavior. This is distinct from morals which is defined in by a system of right or wrong defined by a group or hierarchy. It is generally agreed in most of the social sciences that morality is the study of what makes actions right and wrong. The distinction is not always clear and for some academics the words are synonymous. For most social scientists morality is the study of what makes actions right and wrong. Ethics, also known by some as “moral philosophy” is a branch of philosophy which addresses questions about morality. The word ‘ethics’ is commonly used interchangeably with ‘morality’ … and sometimes it is used more narrowly to mean the moral principles of a particular tradition, group, or individual. Morality is a reflection of a group’s ideas of what is right and wrong, morality becomes the code of acceptable, functional behavior imposed on all members of the group. As one creates a functional reality one soon learns to behave morally or one may be punished by the group. When one acts unethically he/she is essentially violating his/her own rules. There are many theories concerning morality and ethics. The practical element of all this for one creating a quantum reality can become very tricky. There are , many elements one must explore including perspective, duty, obligation, personal or cultural values, codes of conduct and social mores especially when forced into an dysfunctional environment of ordinary thinkers. In our new world of multi-cultural experiences rules, regulations, customs and laws are constantly changing, as they are adapted to the particular times. For a person who is unclear about who they are and where they are, what is good and right can be unclear as well. In a sense having an ethical code is more difficult than having a moral one since morality is often imposed upon us. In many religious traditions particularly in Islam, Judaism and Christianity absolute ethical positions are based on the interpretation of supposedly sacred texts. In classical Asian thought this would be a foreign concept. Three thousand years ago Taoist and Buddhist thinkers saw ethics in less absolutist terms.Religious values and morality are seen as synonymous by many people, particularly those who see themselves as deeply religious. They are, however, not the same. Gay marriage, stem cell research, abortion, or pre-emptive military strikes such as that of the US on Saddam Hussein are highly controversial topics. Different individuals with strong moral values might view each of these issues differently. One must explore and distinguish between many perspectives on what is or is not ethical. Here is an example of ethical luck? Imagine a person robs a store with a loaded gun. This person may commit the act knowing that they may shoot someone if they deem it necessary but the robbery takes place without a shot being fired. This might be considered no more than armed robbery no matter what the person’s intention may be. Now imagine another person who robs a store with an unloaded gun. This person may commit the act knowing that under no circumstance would they shoot someone. During the robbery, the store’s proprietor seeing the gun has a heart attack and dies. This might be considered manslaughter, even murder, no matter whether there was any intention to physically harm anyone. The act of robbery with a gun is obvious and in some courts of law may be seen as equally wrong in each case, but its dependence on chance affects the level to which the person committing the crime is held responsible. This is ethical luck! It is not alist of prohibitions related to sexual behavior imposed by a religiousorder. A so-called ethical system that is conceptually evolved and noble in theory but ineffective and repressive is unnatural and possibly unethical because it is so unnatural. Because ethical standards can vary from culture to culture it is difficult to even speak about ethics in relationship to personal awareness, or the concepts of enlightenment or self actualization. It is a fact that what may be a rule of moral behavior in one culture may be seen as immoral in another. Each culture has rituals, symbols and myths that it holds to be sacred. These often reflect the changes in the seasons and may be associated with sacred days and specific modes of expression and creativity. Understanding another culture can be a complex and daunting task. Here are just a few unique cultural patterns. • An individual is expected to hide illness from strangers. • It is considered offensive for a male doctor to physically examine a female patient. • At Oakwood Hospital in heavily Muslim Dearborn Michigan nurses are trained to turn Muslim patients’ beds towards Mecca. However, no matter how the ethics and morality of a particular society may change, or how our individual experience of life may vary the behavior that brings one closer to self-actualization never wavers. In its descriptive sense, “morality” refers to personal or cultural values, codes of conduct or social mores. There is no objective definition of right and wrong here. It only refers to that which is considered right or wrong. Within academia this is known as Descriptive ethics. In its normative sense, “morality” refers to whatever (if anything) is actually right or wrong, which may be independent of the values or mores held by any particular peoples or cultures. It is a more absolutist approach in that it demands that one acknowledge that there is right and wrong in the objective sense. Normative ethics is the branch of philosophy which studies morality from this perspective. In order to strategize in life one must understand concepts of right and wrong, social intelligence and personal responsibility. An exploration of any ideas related to morality and ethics is a valuable thing for it helps us to make the most effective choices. He offers stress management programs throughout the United States and his corporate chair massage company, eventschairmassage.com provides seated and chair massage for stress management seminars and trainings as well as to special events for event planners, meeting planners and meeting professionals in New York City at the Javits’Center, and in, New Jersey Las Veges, Los Angeles, Cleveland, Greensboro NC, Florida and other major meeting and conventions venues.